Jamal Kelly (G-90) put on an amazing game in the last round for league's second-best Dream Ballers and that's him to receive a Interperformances Player of the Week award for round 2. The 28-year old guard had the game-high 26 points adding nine rebounds and five assists for Dream Ballers in his team's victory, helping them to beat Belmopan B. (#4, 1-1) 64-59. The game was between two of the league's top four teams. Dream Ballers is placed at 2nd position in Belizean NEBL. They would have been even better if they hadn't lost that single game earlier this season. Dream Ballers will need more victories to improve their 2-1 record. In the team's last game Kelly had a remarkable 72.7% from 2-point range. He just recently signed at Dream Ballers, being already a very valuable addition to the team. Kelly has impressive league stats. He is in league's top in points (8th best: 16.3ppg), assists (5th best: 3.7apg) and averages solid 3.3spg and 60.0% FGP. The second most remarkable performance in last round's games was 25-year old American center Jevonte Hughes (196-C-93) of Belmopan B.. Hughes impressed basketball fans with 23 points and 8 rebounds. Bad luck as Belmopan B. lost that game 59-64 to Dream Ballers (2-1). The season is still at the very beginning and this lost game may not be such crucial, of course if they start win the games. Let's wait for the next round. Hughes is one of the most experienced players at Belmopan B. and has a reputation of one of team's most reliable players. He belongs to the best scorers in the league with 19.5ppg (#4). He also registered 9.5 boards per game. 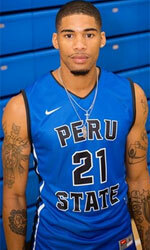 The third best performed player last round was American Nigel Jones (201-C-90) of Belize City D. (#6). 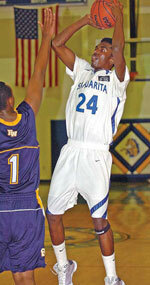 Jones scored 20 points and grabbed ten rebounds. He was a key player of Belize City D., leading his team to a 98-70 easy win against Orange Walk RR (#7, 0-3). The chances of Belize City D. not to end season at such low position in the league, however are less than slim as they have already lost 2 games, recording just one victories. With bigger assistance of his teammates, Jones could try to bring Belize City D.'s a little bit higher in the standings. Jones has individually a great season in Belize. After only 3 games, he made it on the list of the league's leaders in points with 20.0ppg (2nd best). Jones attended one of camps at Eurobasket Summer League on his way to pro basketball.